My work focus on impacts of climate and human pressure, on the resilience of marine communities to stress and disturbance. 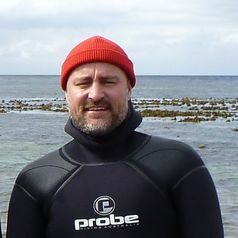 My research bridges biogeography, ecology and physiology, and aims to provide information to support management strategies needed to ameliorate the impacts of humans in marine ecosystems now and in the future. Much of my work has focused on kelp forests because of their enormous ecological and socioeconomic role and importance in temperate marine habitats. A current priority is understanding the ecological and ecophysiological limitations of seaweed populations in environmentally marginal habitats.